This post was created in partnership with Purity Organic. Recipes, images and opinions are my own. Ask and you shall receive! 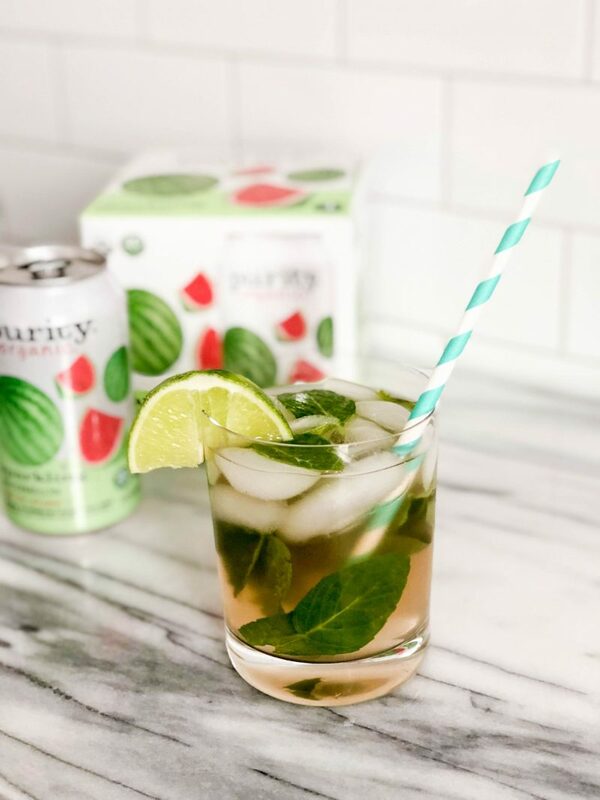 A few weeks ago one of you sent me a message asking if I had any good mocktail recipes to share for my fellow mamas-to-be. I loved the idea- so did my friends at Purity Organic– and I could not wait to get started on testing out ideas. The mocktails in today’s post are all made using one of Purity Organic’s sparkling juices. I love their sparkling juices for a little something sweet and a little something bubbly, with only 20 calories per can. They really are a perfect base for a mocktail as they are sparkling which makes a mocktail feel a bit more like a cocktail. Besides bubbles, there are a few other things that I think make a mocktail more fun. 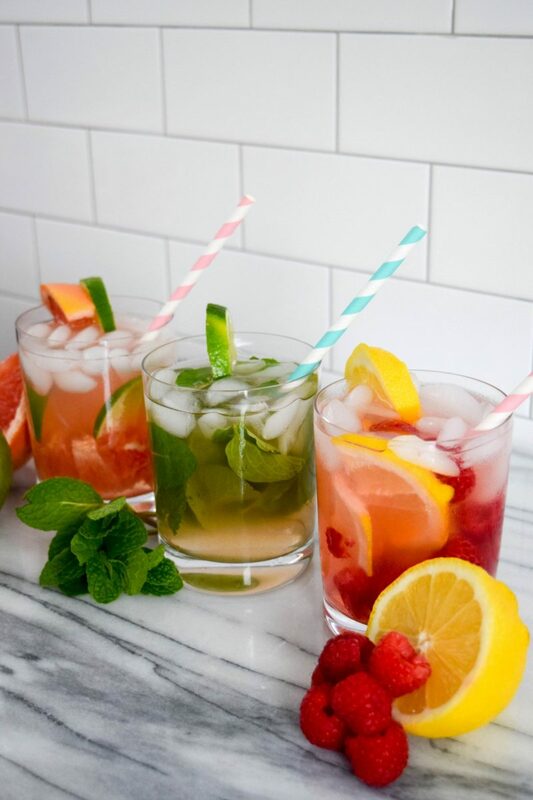 Pretty garnishes, using martini or wine glasses and cute straws make drinking your mocktail more exciting as an expecting mama when your friends are partying on. 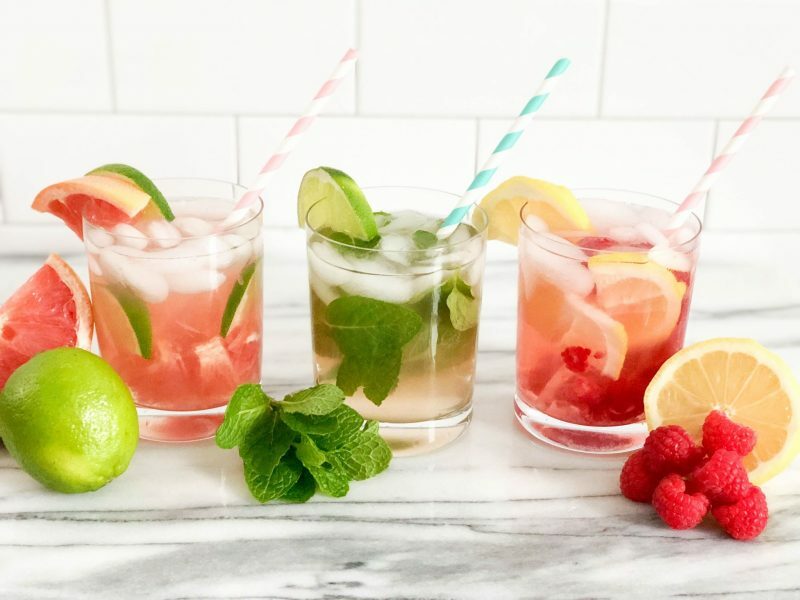 While I’m sharing mocktail recipes today, the combinations would also be just as yummy for a lighter cocktail with vodka or rum included if that is more your speed! In a glass, muddle the fresh raspberries with agave nectar. 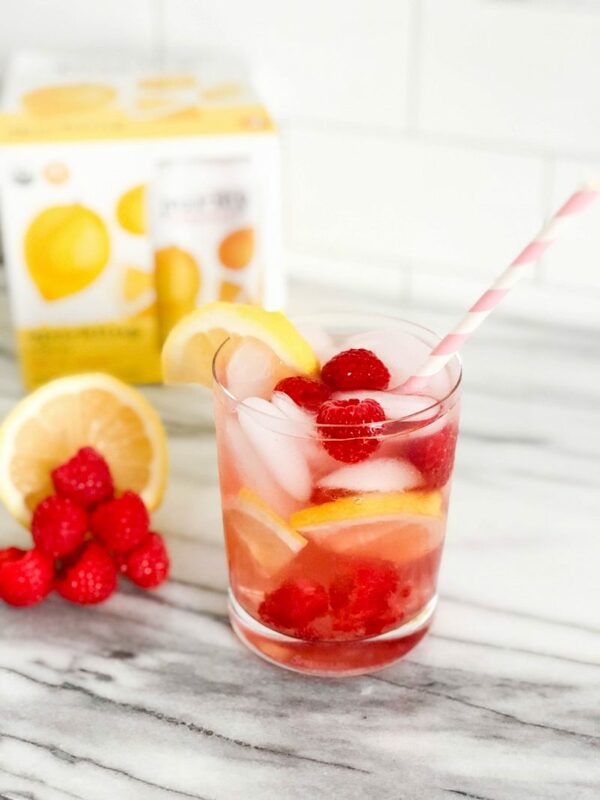 Pour Purity Organic Sparkling Lemon over ice and stir to combine. Add sliced lemon into glass and outside as garnish. Place mint leaves in glass. 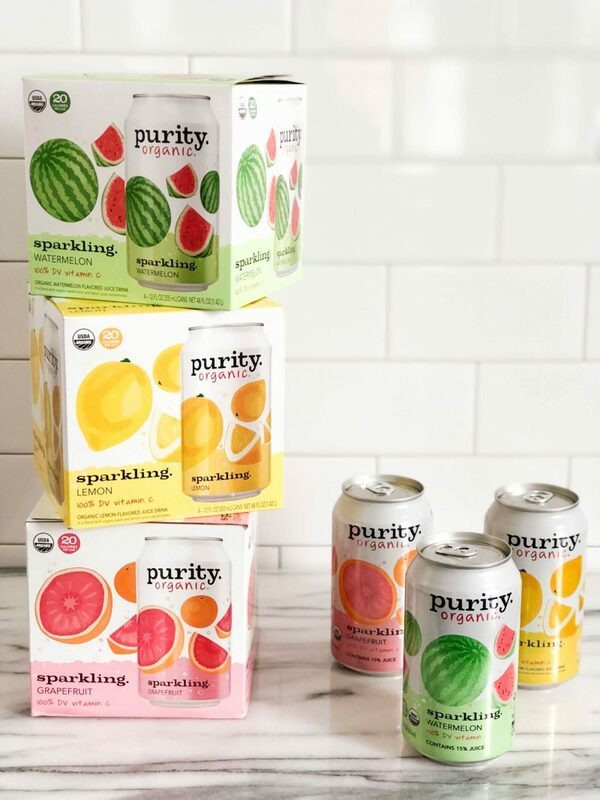 Pour Purity Organic Sparkling Watermelon over ice. Muddle the mint leaves to add mint flavor. Stir in lime juice until combined. Add sliced lime as garnish and additional mint leaves if desired. 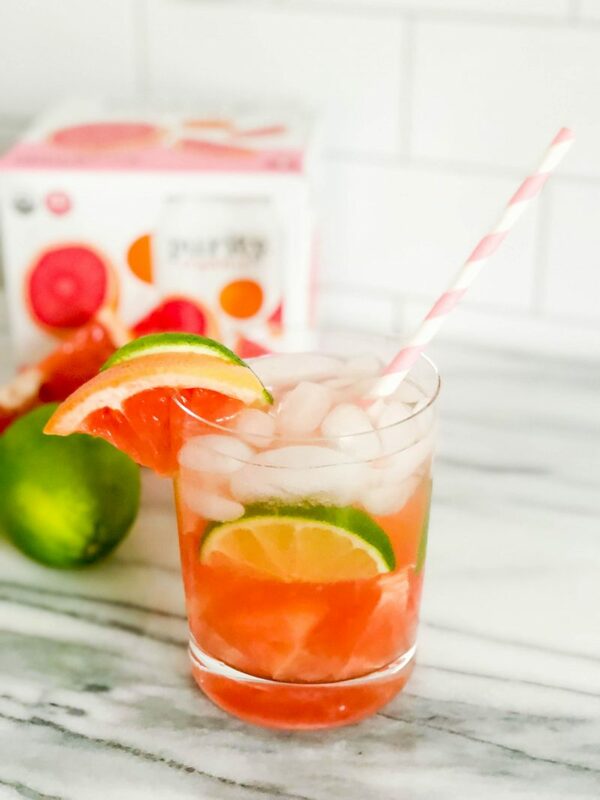 Pour Purity Organic Sparkling Grapefruit over ice. Add sliced lime as garnish on glass and in the drink. These mocktails are adorable and look refreshing! When I was pregnant I loved ordering fun fizzy drinks at bars! The bartenders always had fun coming up with something new and exciting.